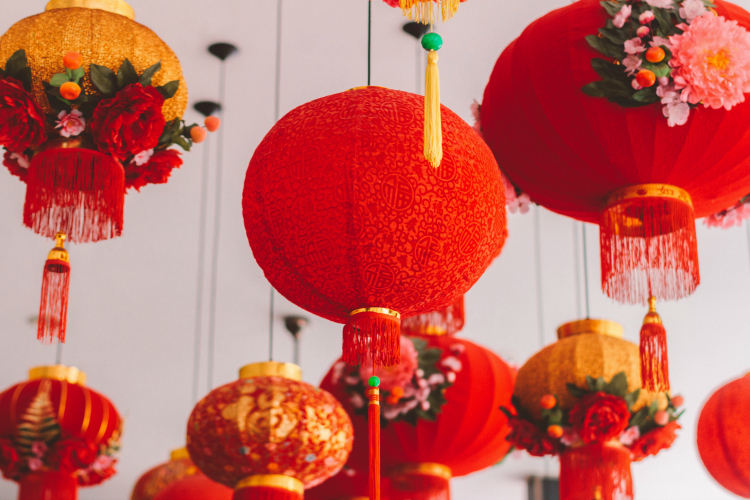 This year, Chinese New Year (CNY) falls on February 5th, marking the arrival of the new year (on the traditional Chinese calendar) for nearly one-sixth of the world’s population. The whole celebration lasts 16 days, from New Year’s Eve through the Lantern Festival on the 15th day of the new year. For a portion of those days nearly 1.4 billion people return to their family homes making it the largest annual migration of people on earth. Once home, families usher in the New Year by eating a family meal together, honoring their ancestors with offerings, exchanging gifts of money and generally welcoming good fortune into their lives for the next year. The reunion meal, eaten on the Eve of Chinese New Year, is considered to be the most important meal of the year. Before the meal begins, the family honor their ancestors by offering food and lighting incense. Then the family can enjoy the many symbolic foods, which, when consumed, are believed to ensure a happy, healthy and prosperous year. On the stroke of midnight, fireworks are set off to scare away evil spirits and bad luck. Many cities have huge public displays, but some individual families and businesses will have their own private displays. Good fortune in the new year can also be courted by liberal use of the auspicious color red. Red lanterns, banners, couplets and symbols decorate businesses and homes. Red clothing is a must and is thought to protect people and bring good luck and fortune. Giving money in bright red packets is a way to pass on good luck to others. Children delightedly receive the envelopes from family members and close friends. Married people pass these money packets to their single friends and businesses often give them to their employees and loyal customers. During this time there are many rituals and taboos that are adhered to. There is to be no cleaning of the home, laundry or even oneself on New Year’s Day. To do so would be to sweep or wash good fortune away, ensuring a difficult year. One should not use sharp objects such as knives, get a haircut, break anything, say unlucky words (“death” or “sickness”) or do any of the other taboos which could cause good fortune leave the family. Pray that Beyond missionaries would be ready to engage people who are celebrating CNY with the truth of the Gospel. Pray that the seeds sown during this time will find good ground and will take root and those who hear will come to know that life in Christ is the best choice they could ever make.